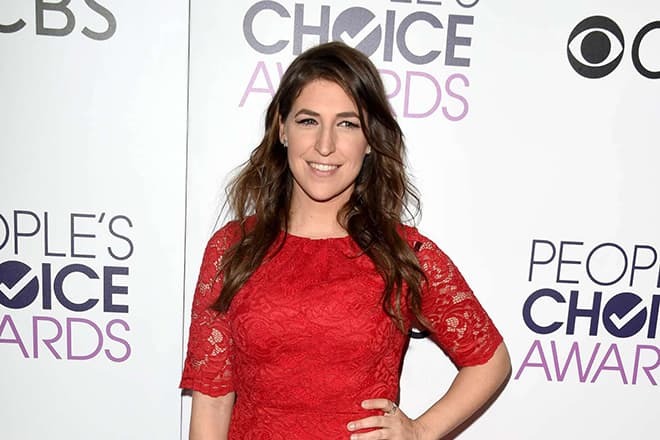 Mayim Bialik is a famous American actress known for her role in the comedy series The Big Bang Theory. Mayim not only portrayed a bizarre boring young woman perfectly but also managed to make millions of television viewers laugh. Some fans of the sitcom know the heroine’s quotes by heart. But it is also worth mentioning that there are many other remarkable works in Bialik’s filmography, which had more than 40 films as of 2017. 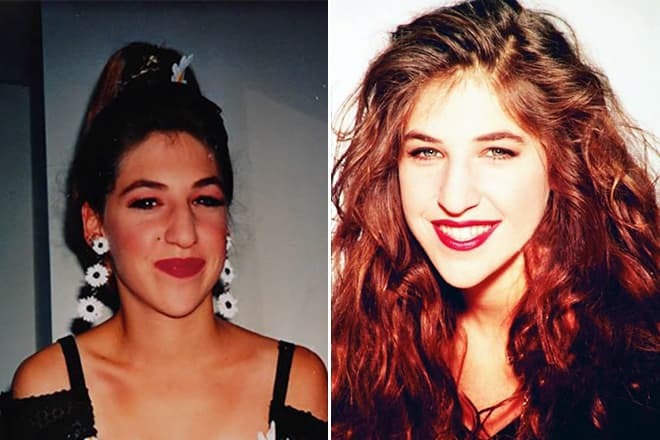 Mayim Chaya Bialik was born on December 12, 1975, in the sunny city of San Diego, located in the southwest USA in the state of California. The future actress grew up in an intelligent and religious family. It is known that Bialik is of Ukrainian, Czechoslovak, Polish and Hungarian descent. The girl's father, Barry, was a director of the local school, and her mother, Beverly, made children literate. Mayim was raised as a religious person, the family confessed reformist Judaism, but now they consider themselves to be Orthodox. The girl’s mother and father constantly kept watch over the daughter, her homework and forced to clean the house. It is also worth mentioning that the name of the actress originates in a mispronunciation of Miriam, her great-grandmother's name, and it means “water” in Hebrew. Bialik attended Walter Reed Middle School in North Hollywood. It is known that the girl liked reading, her favorite book was the novel "The Catcher in the Rye," written by Jerome Salinger. Mayim’s youth was calm and ordinary; unlike her peers, she did not attend parties or drink alcohol. Upon graduation from the high school, the talented girl applied for the University of California, Los Angeles (UCLA), but also received acceptance offers from Harvard. However, since Bialik did not want to move to the East Coast and be far from her parents, she preferred to continue her studies at UCLA, thereby choosing a path which was not connected with creative work. 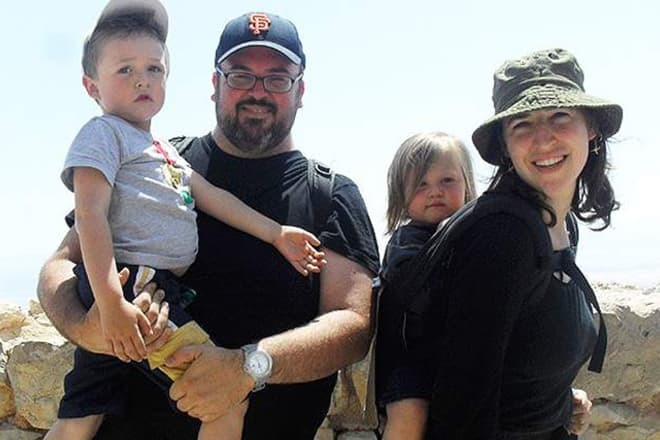 At university, Mayim studied such subjects as neurology, Hebrew, and the Jewish religion. In 2000, the diligent student received a bachelor's degree in neuroscience and then went on to study for a doctorate. In 2007, the future actress earned her Ph.D. in neuroscience. Her dissertation was an investigation of hypothalamic activity in patients with Prader–Willi syndrome, entitled "Hypothalamic regulation in relation to maladaptive, obsessive-compulsive, affiliative and satiety behaviors in Prader–Willi syndrome." 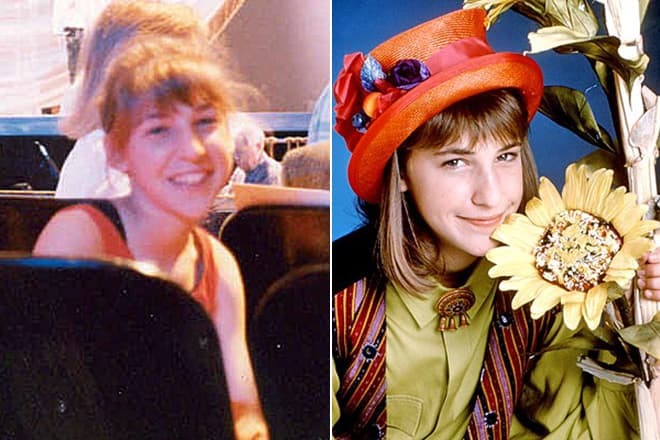 Mayim Bialik began her acting career in 1988 with the horror movie Pumpkinhead directed by Stan Winston. This blood-chilling film tells about a father who is ready to use the evil magic and asks a cunning witch for help to revenge a murdered son. In 1988, Bialik also played a bit part in the comedy Beaches. The plot centers on two girls of different social statuses. The one has a wealthy aristocratic family, and the other is a poor and blatant girl who dreams of conquering the sophisticated world of show business. Two years later, the talented actress got a leading role in the comedy television series Blossom. This TV series shows the story of an average family. An abandoned husband tries to get used to a new life with his children. The heroine of the series, Blossom Russo, is the only girl in the family who observes the people around her and always draws lessons that become useful in her life. In 1994, Bialik played in Woody Allen’s comedy Don't Drink the Water. The story tells about the beginning of the Cold War, the race for the world dominance. By coincidence, a simple Jewish family is mistakenly taken for spies, so the title characters have fallen out of favor, and have to hide in the American embassy. A significant part of the filmography of the short actress (Bialik’s height is 163 cm, the weight is 61 kg) consists of series. 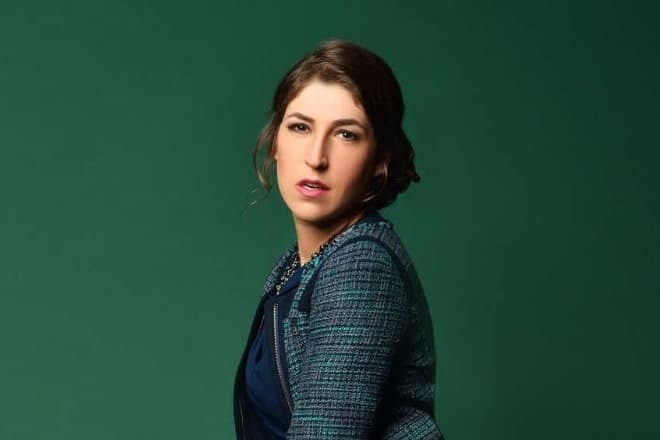 Mayim participated in such projects as The Facts of Life (1979–1988), Bones (2005–2017), Saving Grace (2007–2010), The Secret Life of the American Teenager (2008–2013). 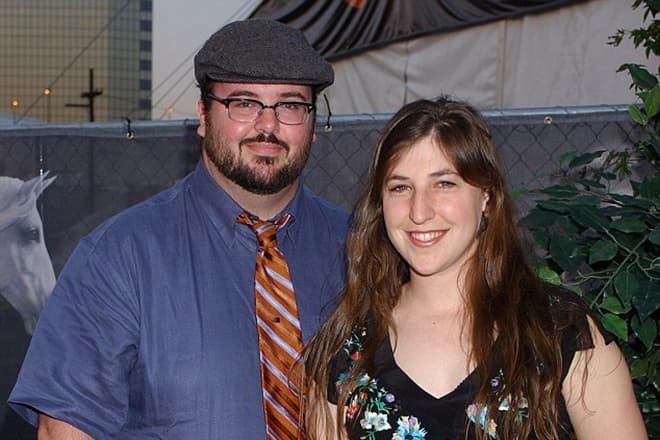 In 2007, Bialik began to shoot in the popular sitcom The Big Bang Theory. The plot of the series tells about the life of four friends, physicists, who devote most of their time to science and do not know all the advantages of the relationships with women. But when an extravagant and naive blonde, Penny (Kaley Cuoco), moves to the apartment across the hall, the guys’ life changes. 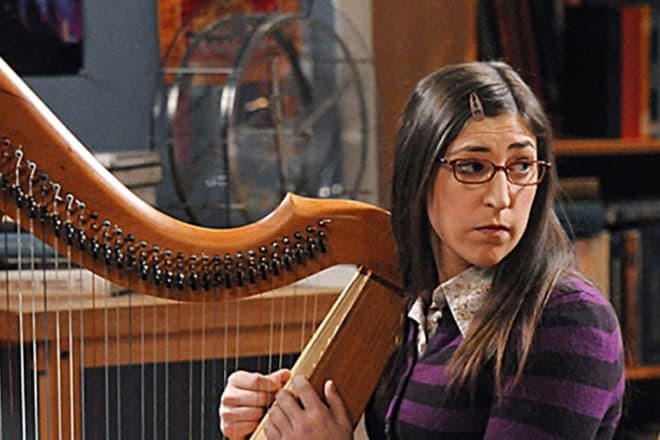 In The Big Bang Theory, Mayim performed the role of Amy Farrah Fowler, a neuroscientist. Amy experiments on apes and loves to play the harp. The funny fact is that the boyfriend of this weird girl is Sheldon Cooper (Jim Parsons), who has no interest in romantic or sexual relations. 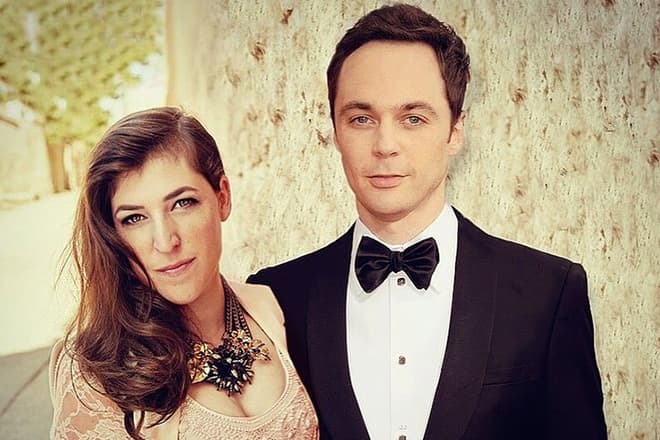 Mayim Bialik managed to work on the same set with such famous actors as Bill Prady, Johnny Galecki, Simon Helberg, Kunal Nayyar, Melissa Rauch, and Sara Gilbert. The talented actress also participated in the films Kalamazoo? (2006), The Chicago 8 (2011), The Dog Who Saved Halloween (2011), Stan Lee's Mighty 7 (2014), etc. Moreover, Mayim voiced characters in well-known cartoon series, for example, Hey Arnold!, Johnny Bravo, Extreme Ghostbusters and Recess. Mayim Bialik is an easy-going person, she gives interviews with pleasure and delights fans with posts and photos on Twitter and Instagram. On August 31, 2003, Michael Stone made her a marriage proposal. The actress agreed, and the lovers had a Victorian-themed ceremony. Bialik's husband was born into a Mormon family but later converted to Judaism. The couple had two sons. However, Stone and Bialik decided to separate and in the spring of 2013 finalized a divorce. One year before the breakup, the actress had got into a car accident and severely injured her arm. It can be said that the doctors did their best because Mayim could have lost her fingers. The Big Bang Theory star admitted that she and her children are vegans. They do not eat meat, fish, milk, eggs, and any other animal source foods. Bialik confessed that it is difficult to get the children ready for school. While other parents give their children snacks such as cheeses or yogurts, the actress should come up with a meal without milk. Despite the busy schedule, Mayim likes reading especially classic works of literature. The actress continues to delight her fans playing in the favorite TV series. In 2017, the actress voiced a character in the animated series Star vs. the Forces of Evil and also played in the eleventh season of The Big Bang Theory.